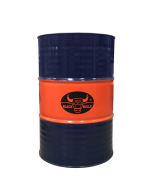 Black Bulls AGRO ULTRA Heavy-Duty Diesel Engine oil (HDDEO) contains high quality base stock and formulated with the multiple advance additives technology AGRO ULTRA diesel engine oil provides superior lubrication for both on- and off-road diesel engines with EGR or DPF and high speed four stroke diesel engine for commercial, personal or off-road application or as recommended by OEM. • Use for all diesel engines where API CH-4 or lower and above service grade recommended by the manufacturer. Serves best for diesel engines with EGR system and turbochargers..
• Resists breakdown at high temperatures. • Longer drain intervals and smooth running of engines. • Good compatibility with rubber to Protect rubber seals. • Increases fuel economy due to ultra-low vaporization loss. • Specially designed for Engine with EGR and turbochargers fitted. • Highly effecient in dispersancy and detergency keeps engine clean. • Reduces Kinetic energy loss out of friction wear by effectively dispersing ash and deposits.